What & who is this website for? 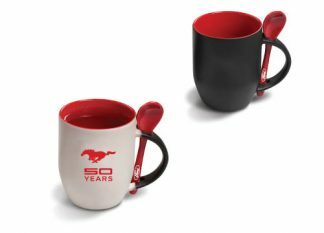 This website sells a combination of Lifestyle & Promotional products for Ford Dealers who need gifts to give away for promotional purposes and products to sell to Fans of the Ford & related Brands. 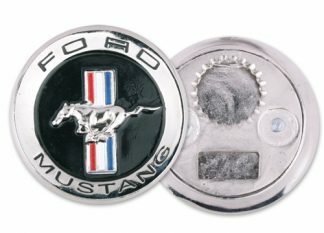 However, Fans of Ford are welcome to order any product available in the store; without having to create an account. That’s right – just add items to the Cart / Basket and Checkout to place your order! Help! I’ve lost my password! Go to the Dealer Login / My Account page, and click on the “Lost your password?” link. Enter your email (the one you use with this website) and click “Reset Password”. The website will then send you an email with a link you need to click on to reset your password. When you click on this link, a new page will open where you are prompted to enter in your new password twice. Remember to create a password with a combination of uppercase, lowercase, numbers and special characters (e.g.: ! @#$%^&* etc.) that is at least 8 characters long. If you have been successful you will be asked to log in. Go to the My Account page; Click on Account Details, and enter your old password as well as your new password (twice). Remember to create a password with a combination of uppercase, lowercase, numbers and special characters (e.g.: ! @#$%^&* etc.) that is at least 8 characters long. If you have been successful you will be asked to log in. Where or how do I log in? You log in on the Dealer Login / My Account page, by entering your username and your password. We periodically send out emails from this website with important information, specials and new stock notifications. You are welcome to subscribe using the widget located in the footer of the website to enter your email address. If you wish not to receive these newsletters, all you need to do is click the unsubscribe link found at the bottom of the newsletter email. Do I need an account on this website to place an order? 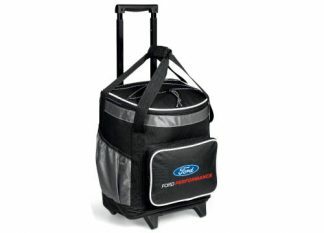 Fans of the Ford brand are welcome to order any product available in the store; without having to create an account. That’s right – just add items to the Cart / Basket and Checkout to place your order! Do I need to order from a specific PC or device? No, it’s possible to order from any computer or mobile device as long as it’s connected to the internet. It’s recommended to use a trusted computer or device for security reasons, though. How do I know what items are in my Basket? 4/ When you have added everything you need to your basket, you can proceed to the “Cart” page to review your basket content. 5/ If you are satisfied with the products in your Basket, you may proceed to the “Checkout” page to complete your order. 7/ If you chose EFT: You will receive a confirmation email with your order and instructions on how to pay. If you have any items on your order that are on Back Order, your Client Liaison will contact you to confirm the amount you need to pay, less the items on back order. Read more about back orders. 8/ If you chose Credit Card: You will be redirected to the PayFast Payment Gateway that will process your payment. (Please note you may also do an Instant EFT via PayFast). Payment Limit: R5000.00 per order maximum. You will receive and order confirmation once the payment has been received, to let you know the order has been completed. What happens when an item I order is added to a “Back Order”? When you add a product to your basket, and there is zero stock currently available in your depot, or any depot, you will see a pop-up asking if you wish to add the item to Back Order or not. If you agree, the item will be added to your order, but will not be charged for until it is in stock. (If payment is made via Credit Card or before an Adjustment can be made to your completed order by your Client Liaison, the payment will be held as a credit). Once we receive a stock replenishment, you will be invoiced if you have not paid yet. Once payment has been received, your order will be shipped. Please note that Back Orders are filled first according to order date, with earlier orders getting preference. 1/ Keep your login credentials private, do not share your account information. 2/ Make sure you password has at least 8 characters, with a combination of uppercase, lowercase, numbers & special characters. 3/ Use a trusted PC or mobile device, avoid public computers as you cannot know for sure what malware or viruses may be installed on them that will log your key strokes and phish for your private information. 5/ Zapper – Use your smartphone to pay! Download the Zapper APP to your Android, Apple or Windows smartphone to pay quickly and conveniently when you checkout from the website. Visit Zapper to download and learn more! Zapper – Use your smartphone to pay! Download the Zapper APP to your Android, Apple or Windows smartphone to pay quickly and conveniently when you checkout from the website. Visit Zapper to download and learn more! Can I pick up (collect) my order? You are welcome to pick up your order at your nearest selected Depot (chosen at checkout). Yes; you can track your order here. South Africa: 3-5 Days from when payment of the order has been received in our account anywhere in South Africa. Namibia, Botswana, Zimbabwe, Mozambique, Swaziland & Lesotho: 5 Days from when payment has been received; but also depending on any possible delays with Customs.